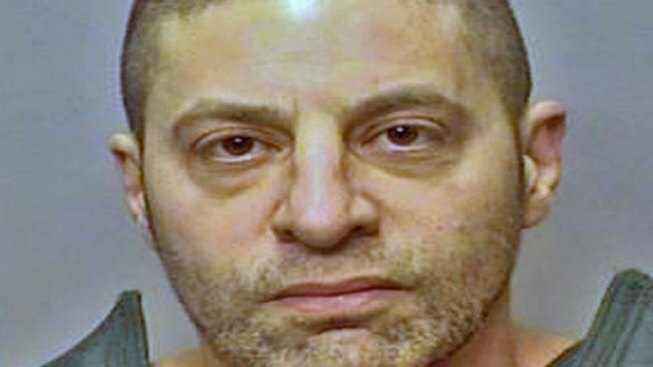 A former northwestern Indiana nose surgeon who spent five years on the run from fraud charges is arguing he's served enough time in prison even before being sentenced. Attorneys for Mark Weinberger said in federal court filings that he's spent 34 months in prison, which falls in the sentencing guideline range of 30 months to 37 months. Weinberger faces a court hearing Friday during which a judge could decide whether to accept his guilty plea on charges for billing insurance companies for procedures that weren't needed or never performed. His ex-wife, Michelle Kramer, says she's not impressed with the assertion from Weinberger's defense attorneys that her ex-husband has been a model prisoner while at the Metropolitan Correctional Center, where he's been a cook and conducted yoga classes on the roof. "It points to his underlying, premorbid narcissism. He just wants to be a leader, so he has 100 devotees doing yoga with him," she told NBC Chicago on Thursday. Prosecutors have asked for a sentence of about four years. Such a sentence would likely mean little additional prison time for Weinberger. He disappeared during a 2004 trip to Greece and was captured in Italy in 2009. Attorneys representing nearly 300 former Weinberger patients went to the Hammond Courthouse on Thursday to offer more documents for federal Judge Philip Simon to consider. "He's done everything he can to frustrate the claims of these people and the victims of his malpractice," said attorney Dave Cutshaw. Kramer has re-routed her life, graduating from medical school, but said she's still appalled by the betrayal to not only her but her ex-husband's patients. "Mark Weinberger is on the same level as as [Former Penn State Football Coach Jerry] Sandusky and [convicted wife killer] Drew Peterson. He takes no responsibility [and] hurt the people closest to him," she said.